My name is Ashley & I’m a stay at home mom of a beautiful little girl named Sophia, who was born in January 2008. I was born & raised in New Orleans, LA by my mom & grew up struggling. With a lot of personal difficulties & financially, I decided to search the internet for “freebies” & came across many sites. This inspired me to begin my own blog to share the freebies I have found. I enjoy scrapbooking, photography & shopping, but the #1 thing I enjoy are doing these giveaways & freebies in my blog! You could say it’s become a hobby of mine! 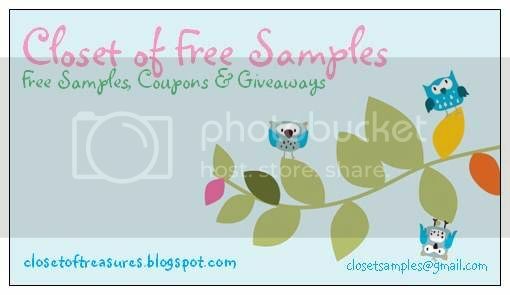 My blog is about free samples, coupons, giveaways and more! I have recently started hosting nice giveaways and working with companies to review and host these giveaways! Most items on my blog are for USA only but some are opened up World Wide. I started this blog sometime in November of 2008. I enjoyed freebies so much and would sign up so often it started off as wanting to just a way to see how many things I was signing up for. Then I wanted to share these with people. Once I got a few postings up I started to advertise my blog to friends & family & other sites & slowly it has grown! I have a variety of items. It can be food, household items, clothing, jewelry. It can be anything. But I do keep it family friendly, as in no adult sites. Hmm It’s a hard decision. I think so far it has to have been the Recycled Tea Set I had done for my daughter about a month or so ago or the owl crib sheets I recently did about 2 weeks ago. My blog appeals to anyone who loves to save money, loves free items or loves contests/giveaways! I’m hoping my blog grows more in the future with more readers, more giveaways & more freebies! I hope to be able to work with more businesses to help improve my blog as well. The biggest challenge would have to be probably the layout. It took a while before I was able to complete the layout as it is as I put it together myself through the help of other sites. Being able to tweek things and get them how I wanted was quite challenging & time consuming. I love knowing I have people who benefit from this blog. I enjoy sharing it as it has become a hobby & something to do when I can. So knowing that it has helped someone or others just enjoy it makes me feel good about doing it while I’m having fun! Yes! I hate when I get SPAM comments on my blog. Or for giveaways people who don’t read the directions to enter & just leave a generic comment like “i want to win this!” when it clearly states what the mandatory entry is. Just read the directions. I have everything written up pretty clearly. If you’re unsure, you can always email me & I’m happy to assist you. If you enter and haven’t followed the directions on how to enter you have no chance at winning. Just read carefully is all I ask. Some of my favorite blogs are Baton Rouge Mommy, A Thrifty Mom, and Freebie Blogger. Thanks so much for the feature of my site! It’s been quite some time. The site is actually closetsamples.com now without the blogspot 🙂 Since this came up in my search I just wanted to update the info and thanks again for sharing us!